Hopefully, we'll get to say hello Folky! I'm deliberating what games to bring with me. 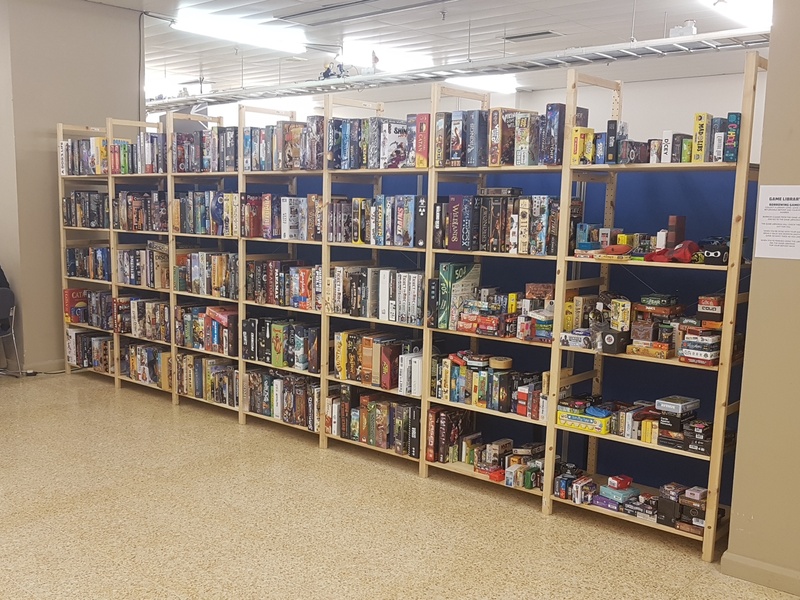 I know there's going to be a fairly large library, but if it's anything like the UKGE, it'll all be ransacked within a few minutes! SkullKing-unless Rich brings the new edition. 7W Amarda, if it's not in the library. Yup hopefully see you there. Never played Carcassonne: The City so fingers crossed for that one. I’m definitely bringing Wingspan and Roll Player, possibly more if I can squeeze them in my backpack. Sure, I'll bring the alternative version - keen to see what you think to it. Not got round to thinking about what to bring, but like you're idea about keeping it light. Hi Folkydokey. Would be good to say hi if we get chance to meet up. 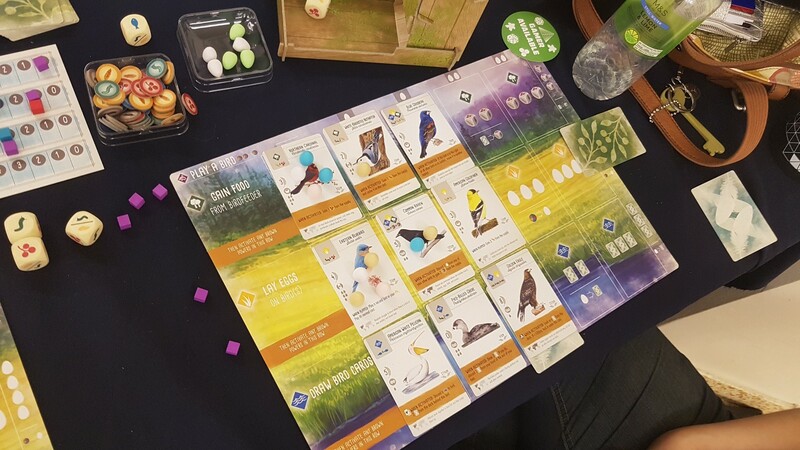 Impressed you've already got a copy of Wingspan - I'm hoping my copy will be dispatched whilst I'm at Airecon although am a little concerned there won't be enough copies for all the pre-orders vendors have taken as it seems to have been crazy popular in recent months. Hope a few more folk from the forum attend - especially as it's much further north than UKGE so might be easier for people to get to. Met Rich today, played wingspan (the bird game and Jen says), century spice road, deep sea diver, ginkgopolis, a demo of keyforge and then went for a cheeky nandos. still plenty of time for some more games this evening though! After having a nosey through the window at the local board game shop (more a toy shop tbh), we managed to grab a seat at geeknson's mini (think cheap) gaming table, which I'm quite seriously considering buying, but I'm sure the missus will soon put a stop to that. Played Whistlestop and Carcosa before leaving as they closed for the night. Can't wait for more games tomorrow. 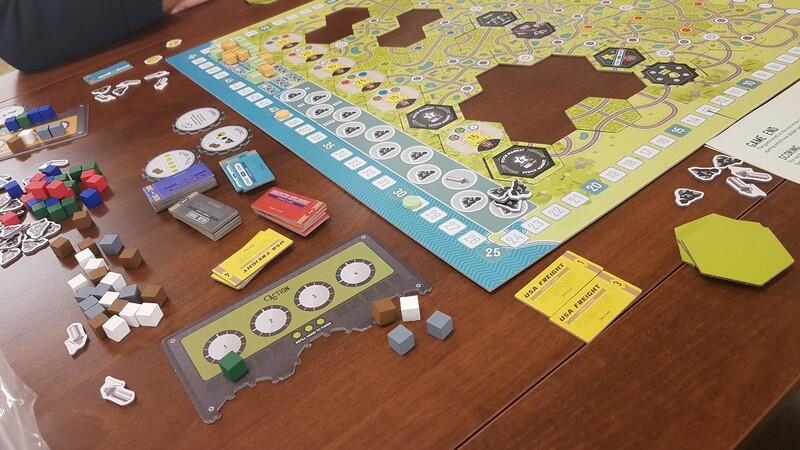 I spent today volunteering but managed to squeeze in a quick game of Tiny Towns which was an interesting little city builder. I was terrible, but enjoyed it and would certainly give it another go. Hopefully catch you tomorrow for a quick game! Did you play with a nice lady and man wearing white tshirts? If so, We were sat right behind you playing Carcassonne The City! Dang, we headed home last night because we had a long trip home. Hope you enjoy your Sunday and hope we get a chance to say hello and play a game in the not too distant future! We got back home at about 1:30am last night. 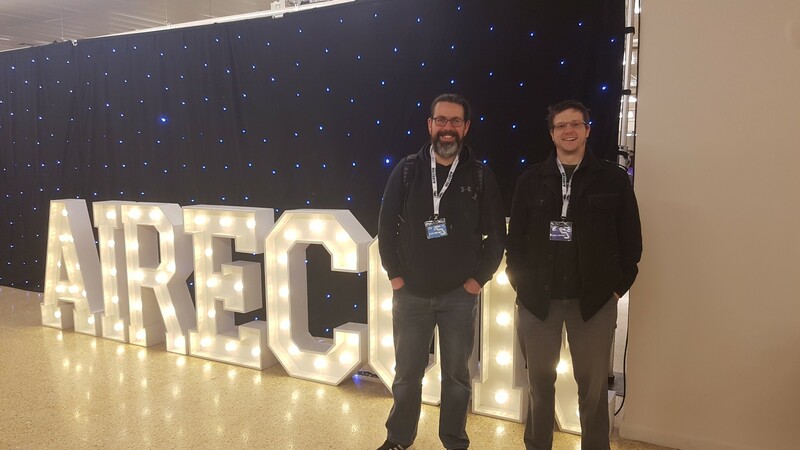 Thought I'd share our review of AIRECON'19. 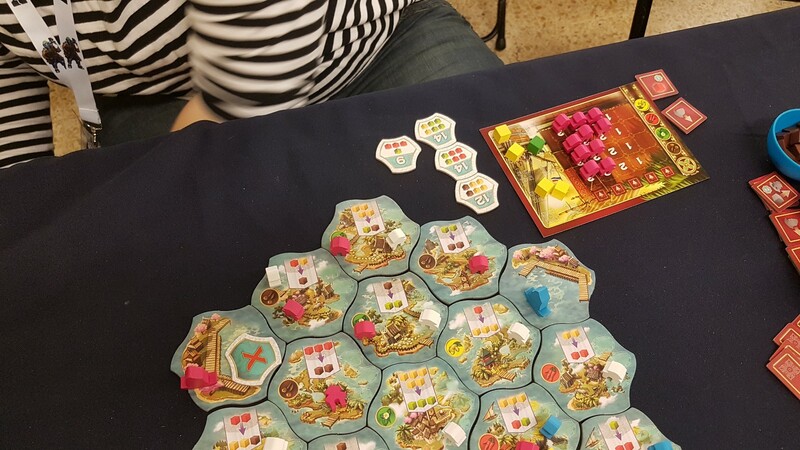 Airecon us a gaming convention in Harrogate, spread over a full Friday, Saturday, Sunday. The primary focus is to meet people and playing games, unlike the larger conventions that usually have a lot more exhibitor booths. Foot fall is much smaller than the UKGE, though I can't find the numbers, it was probably x0.1 the size. 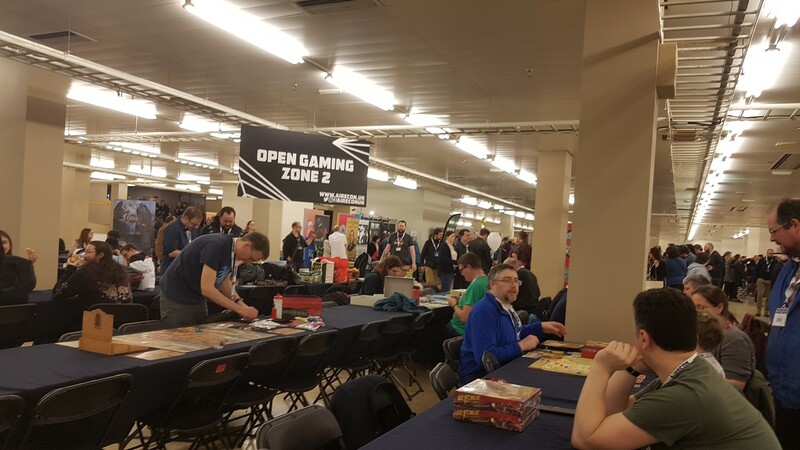 What that basically meant was: you could find somewhere to sit down and crack open some games and you didn't have to queue for 25-minutes for fish and chips. With no time to waste, we've grabbed the comfy seats in a quiet corner, near the games library. I nabbed a quick photo of the library, that Travelling Man provided. 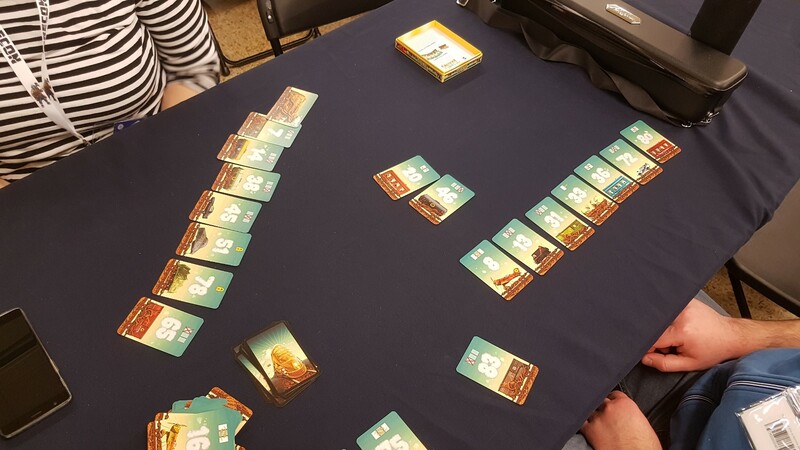 There were some really great games in the library, and perfect for the number of attendees. You left a £10 deposit, which you got back when you returned your card, and you could claim 1 game at a time. 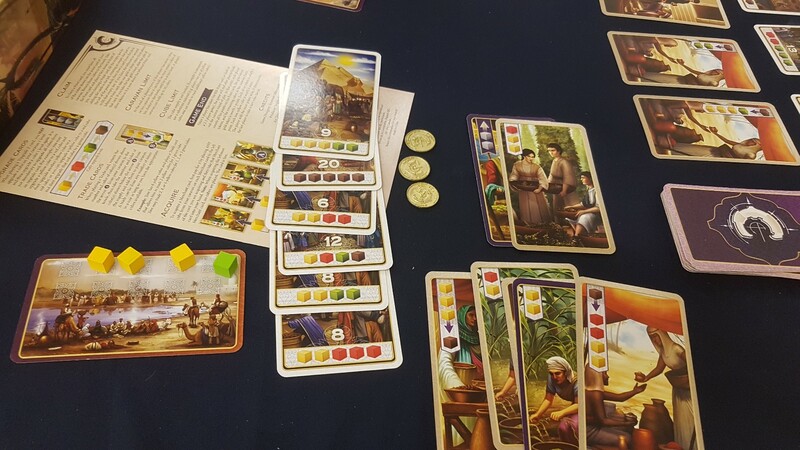 Within minutes we're playing Century: Spice Road. Buy cards or play cards to convert cubes of one colour into cubes of another colour. It's mostly harmless. I liked the iconography. The rulesheet was ok, we noted some odd phrases. The engine building was light, you have a great choice on the number of things you can do. MrsDecar won by managing to sneak the last victory card before I could, I got the feeling Rich the Fish wasn't able to get an engine going, so was left behind. 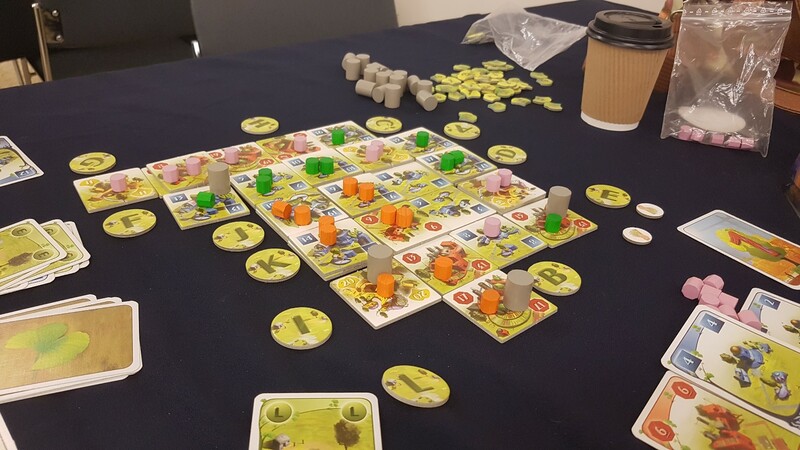 Next up was a favourite of mine: Ginkgopolis because it was in the library! You can find a review of the game somewhere on the forum. I didn't do a very good job of explaining the rules, but after a turn of two I think MrsDecar and Rich understood. I came last, which is a great indicator that I'm a good teacher! 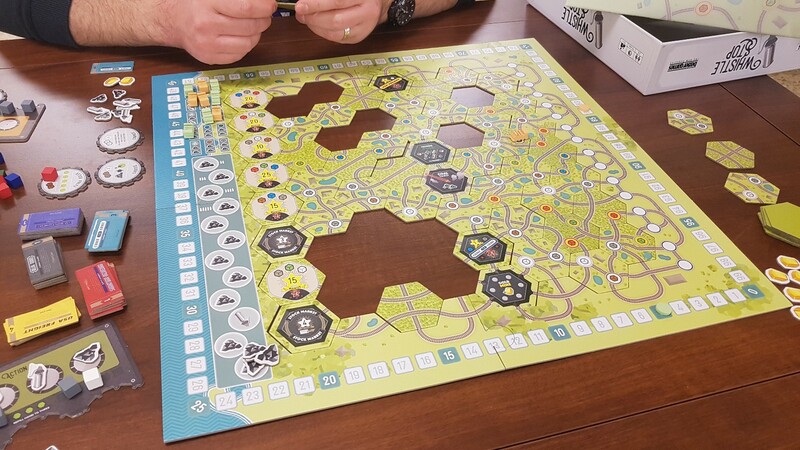 It always looks great on the table, and doesn't take long to play! 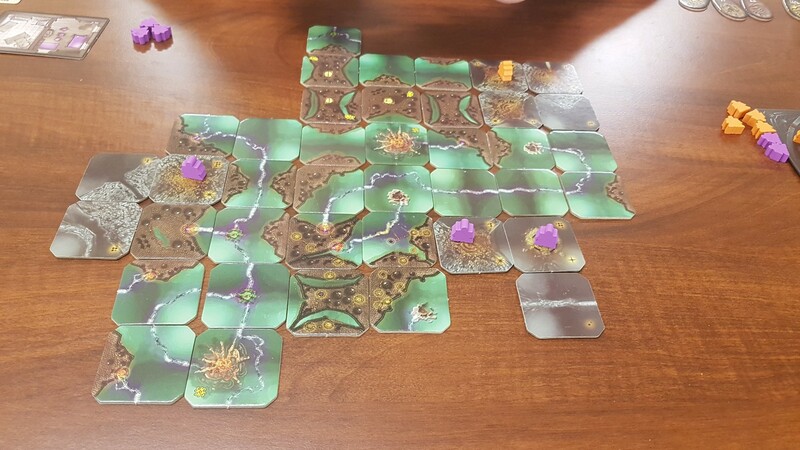 RichTheFish: I forgot to nab a photo, and I cant' remember if you won with that large connected area! 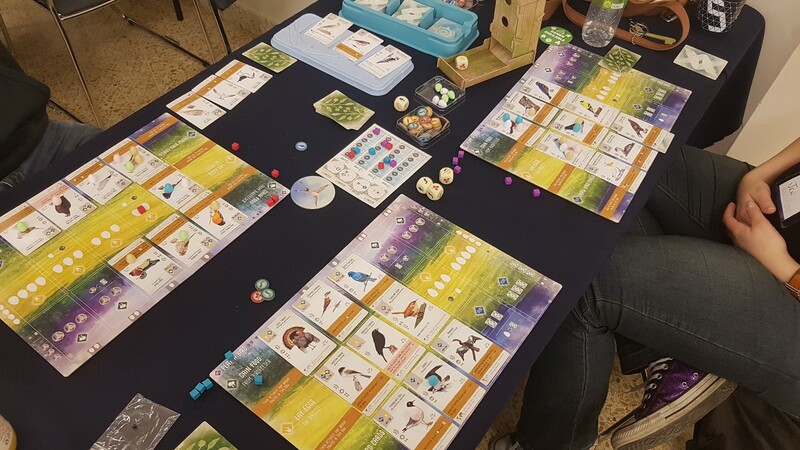 Next up was Rich the Fish's choice: Wingspan (or That Bird Game, as MrsDecar calls it). All aboard the hype train! 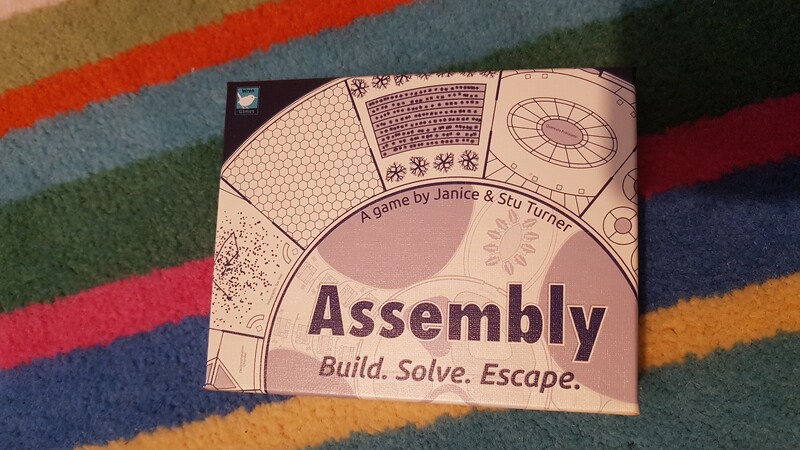 I got the feeling, the rulebook was completed before the game's component layout was finalized. For example: It tells you to place action cubes on things, but those things don't exist. All it needed to say was use a cube to track your turn, put it on the action you take, so you remember what you are doing, in case you forget in the next 30s. Great... what's the skull action? Great... what are the benefits? This seems like a classic example of giving things descriptions because, things need descriptions; but the descriptions you write simply rephrase the card's original text. 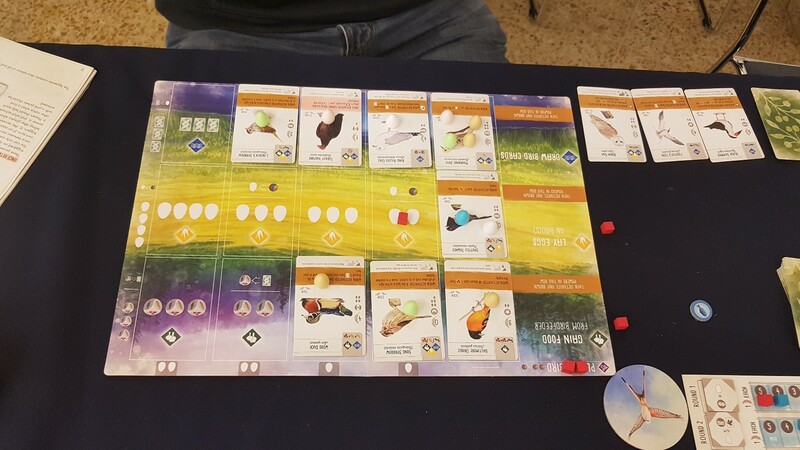 As a counter example: Dominion, has rules on cards and no need for clarification on what the actions means; the rules you need are in front of you. 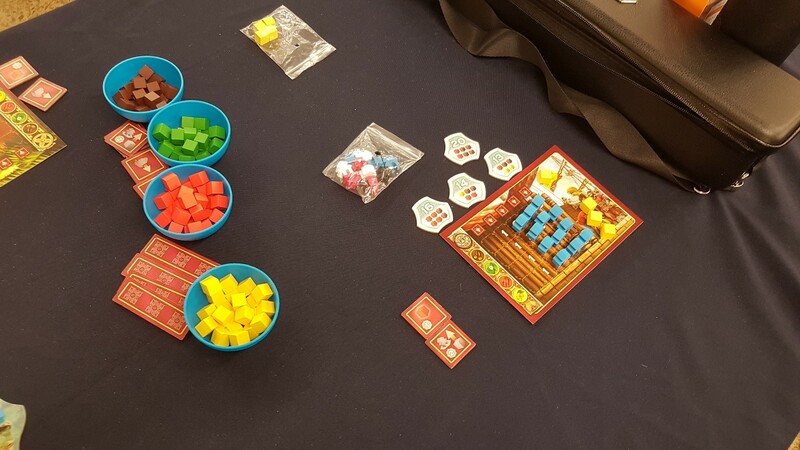 The game looks nice and is highly over produced, with quality boxes and linen rulebooks; and a dice tower that's too small for the massive wooden dice. The art work is flawless atleast, although the graphical design is weak and clutters the cards. Neither Mrs Decar or I spent any time engaging with the art work. We were busy focusing on mechanics. The game seems to have a solid game play loop, but had a few extra things layered on to flesh it out; I felt those detracted from the core. For example: I got lots of cards that could give everyone slugs. Why is that helpful? I don't want to give slugs to anyone else, even if I really needed one. With so many cards, I suspect it would take 7-8 games until you saw them all. This leaves the game with no planned strategy, which may be good for a lot of gamers who prefer to optimize on the spot, based on what's in front of them. Interaction was low. Why can't my sparrowhawks kill all your sparrows? And why can't my crows eat all your bird seed? Why can't my cuckoo murder your eggs and replace them with eggs I can claim back later. Well, it's because that would be nasty, and Wingspan isn't a nasty game. The general premise is roll and move, grab some treasure and get back to the sub before you run out of air. The more you carry the slower you move and the move oxygen you use. 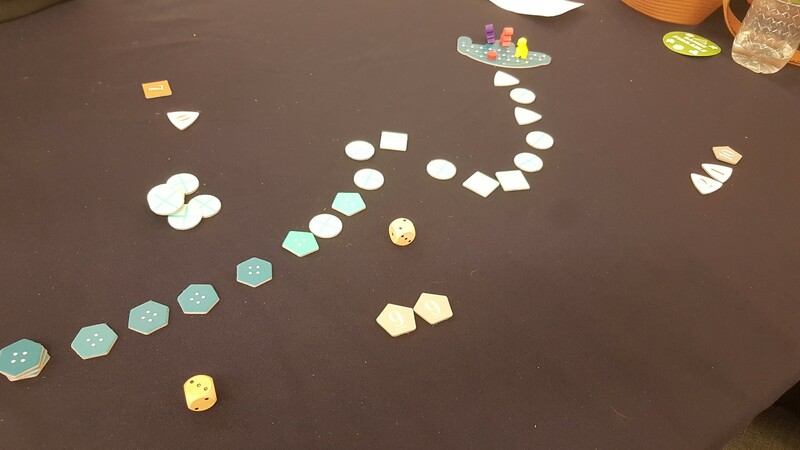 We did laugh when at the very bottom of the trench, Rich the Fish realized there are only 1s, 2s and 3s on the dice, which explain the terrible rolls we'd been having. I recall winning this game, simply because I didn't drown. 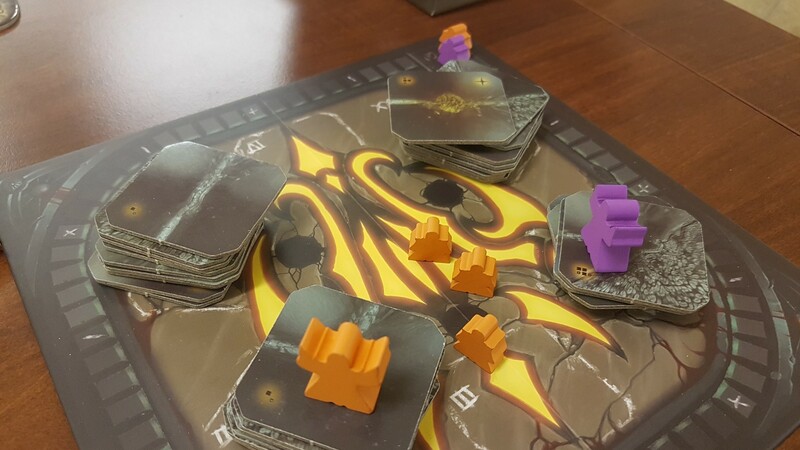 The push-your-luck element is really fun, as well as leap frogging the other players. Rich The Fish and I went to get a demo of Keyforge from the Asmodee booth. I've not played Magic since the first generation, but the game is by the same designer, so it might be good. 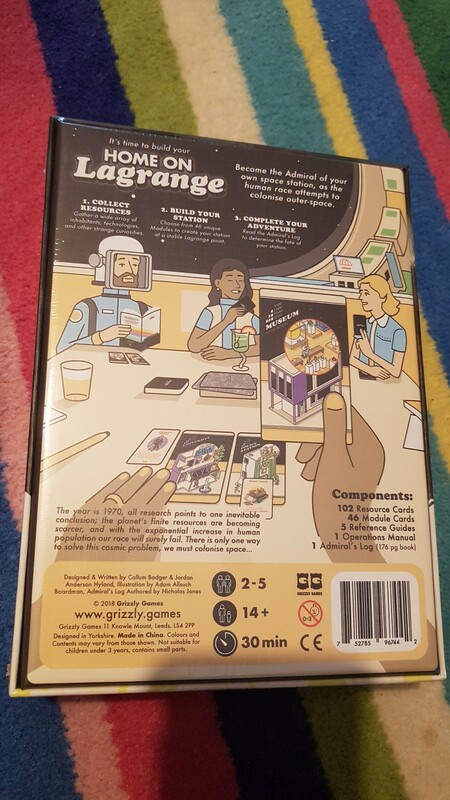 The selling point is: All the decks are unique, none of the decks can be mixed. It's a nice idea. The guy working the booth did make me feel somewhat uncomfortable when explaining that the game designers had to pull some cards from production because they were racists and the some designer sold them on ebay. I don't understand why you'd want to do that, or tell anyone about it. Rich and I played a few rounds. You get to choose a faction and play any number of cards that match that faction. From what I could tell one of two things would happen: 1) Not a lot. 2) You regurgitate a lumpy jambalaya of combinations that the other player can't do anything about. It's a bit like when you build a really nice combination in Dominion, except someone else already made it for you and you had no idea it was in there. It was approaching 6 or 7 o'clock by this time, so Rich, Mrs Decar and I headed to our hotels to check in, and we went for a cheeky Nandos. I'd not been to Nandos for ages, but it was next to the hotel, and I rather enjoyed it. Afterwards Mrs Decar needed some sleep, so Rich and I headed back to the convention centre. Rich the Fish wanted to demo a £200 GeekNSon budget table, so we parked ourselves on the unattended booth. The height was good, but I didn't like the wobbly inlay. Rich also noticed that the table edge was quite sharp. I felt like I could have a paper cut on the side of it. Rich also noticed you could see the dowels that put the table together, so I think he convinced himself, for now at least, to not make a purchase. We played Whistle Stop. 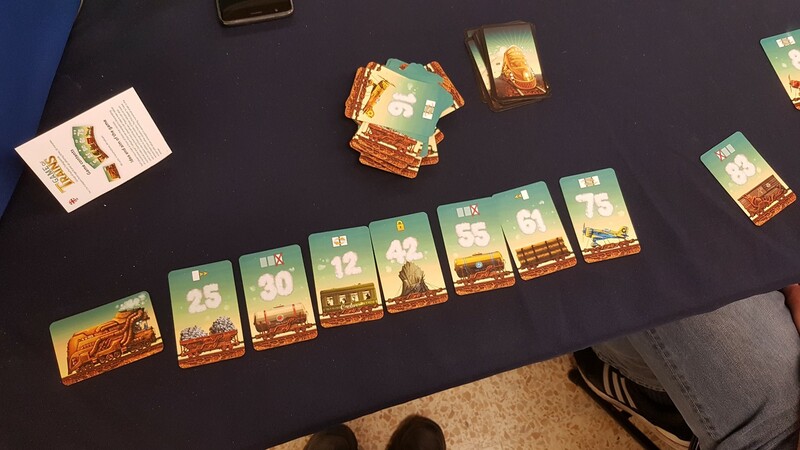 A game about racing trains from Right to Left (Or Left to Right in Rich's case) and collecting some cubes on the way to spend at stations. Each turn you get two coal that you can spend on 2-actions, but you get to keep the coal for later turns. Whistles let you go backwards and move twice. It started quite slow, but got really fast at the end as you burn through the resources you collect. If you lay a track that gives you cubes you need for the end, your opponent can use it too, so that's something to watch out for. I didn't really understand the value of stocks until the end, and didn't have a way of competing and catching up. It was still a pretty close game though. Well played Rich, I'd probably play this again if I had the chance. The rule book did that thing where it talks about things that they haven't explained yet. 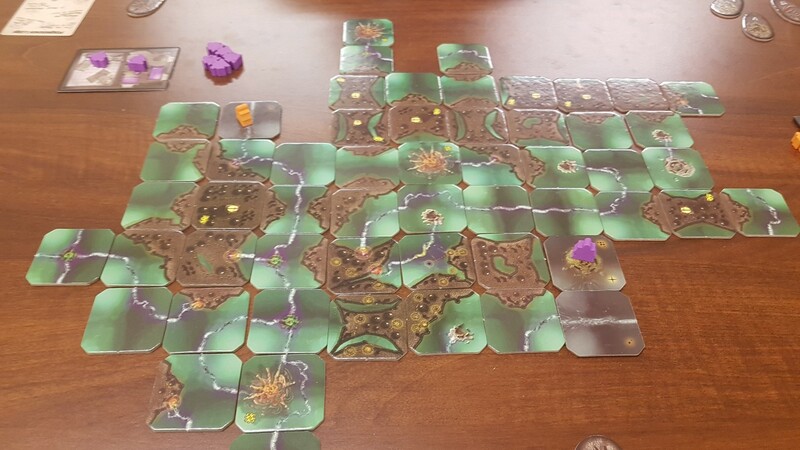 Next up was Carcosa, I needed a rule refresh as it has been a while since I played it. I did a rubbish job explaining things to Rich, sorry about that. At 11pm, we went back to out hotels. It's bloody noisy outside the Harrogate Travelodge, the background noise wasn't so bad, but at 3am the person upstairs came home an the hotel has squeaky floorboards that resonate unperturbed into the chamber of our bedroom. That wouldn't have been terrible; expect they also got up every hour to take a piss. 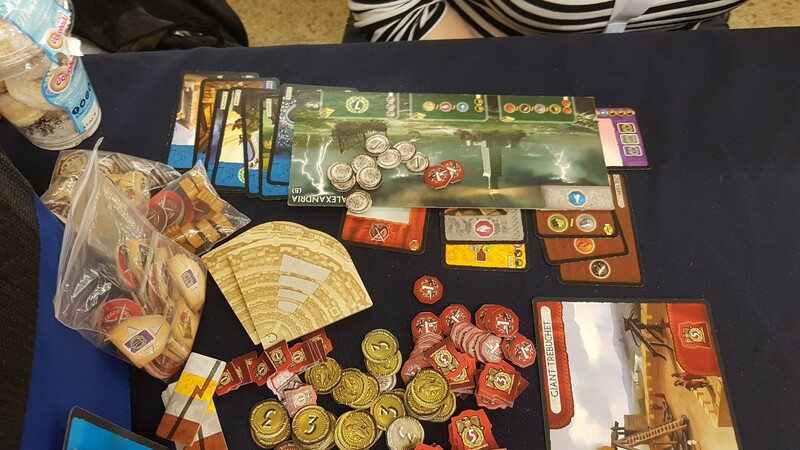 First up: 7 Wonders + Tower of Babel. MrsDecar's choice, but I broke the Travelling Man rule of 1 game per person. But Babel is an expansion, I proclaimed, you can't play one with out the other. 7 equally nerdy fellows joined my call and proclaimed, the same, but I didn't want to make a scene, given the queue. So we opened another card rather than complain. 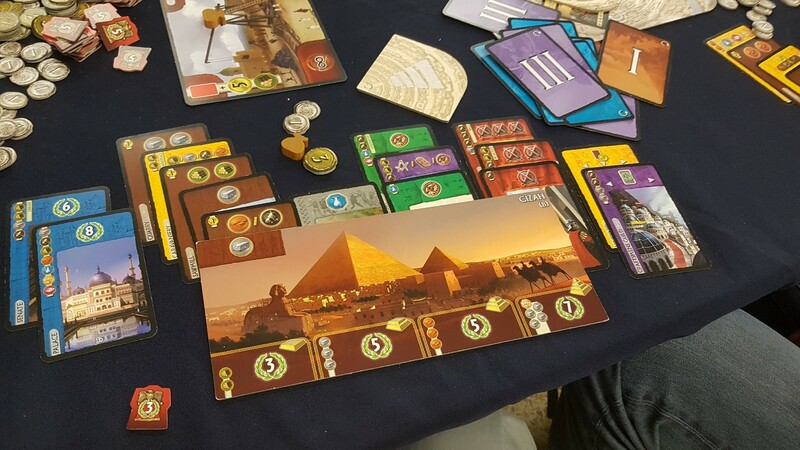 Mrs Decar and I both really like 7 Wonders, but with just the two of us it's never quite as much fun. Initially, I played a taxation babel-stone that pretty much nullified Wonders, causing them to cost additional gold equivalent to the current age. 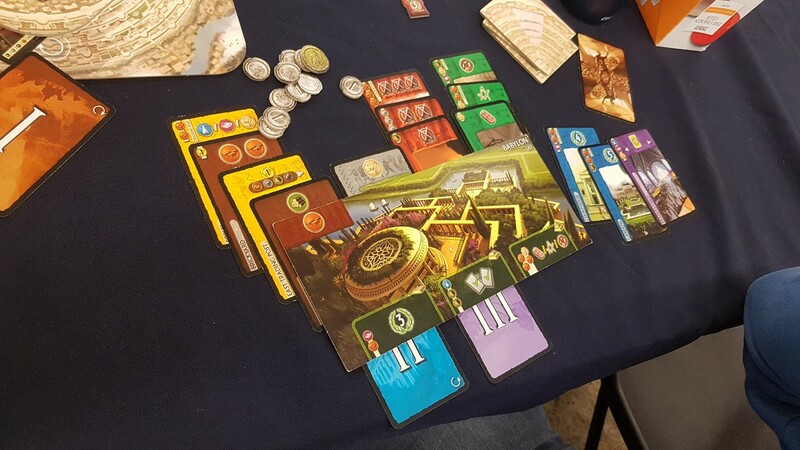 I knew later that I could play a Purple Guild babel-stone and acquire necessary 5 gold in the final Age. I was quite lucky and able to keep up with Rich The Fish's military strength throughout. MrsDecar spent energy on blue point cards, which netted 30 points at the end of the game. I managed to complete the great construct for a free card in a later round. I purchased the Palace with it, it was hard because I recall wanting to build a valuable guild for at least 6 points, but I figured I didn't need the gold. The killing blow was on the penultimate round building a red army card to assist the Great construct. I would either get 5 army points, or both other players would lose all their gold at the end of the game. MrsDecar nor Rich the Fish could stop me because all the military cards were spent. That netted me the game, even though MrsDecar amassed 30 blue points! 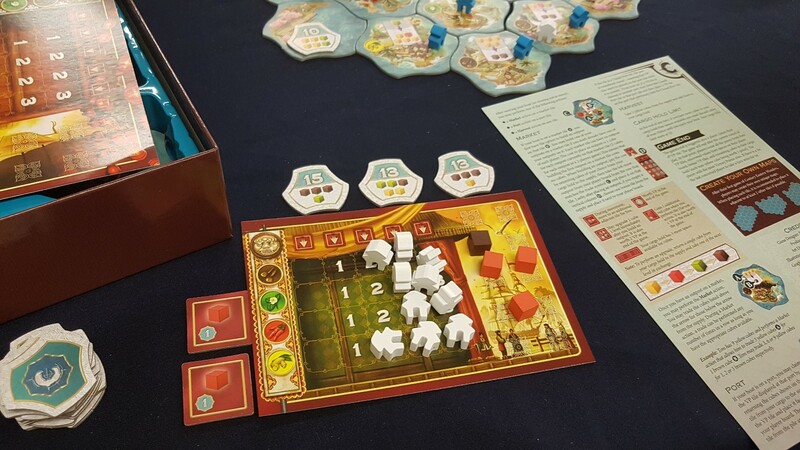 I really liked what babel and the great constructs brought to the game, though they weren't liked, they did totally change strategies as they were played! Next up was Century Spice: Trader Joes, I have no idea what it's called. But it's essentially the sequel to the game we played yesterday. 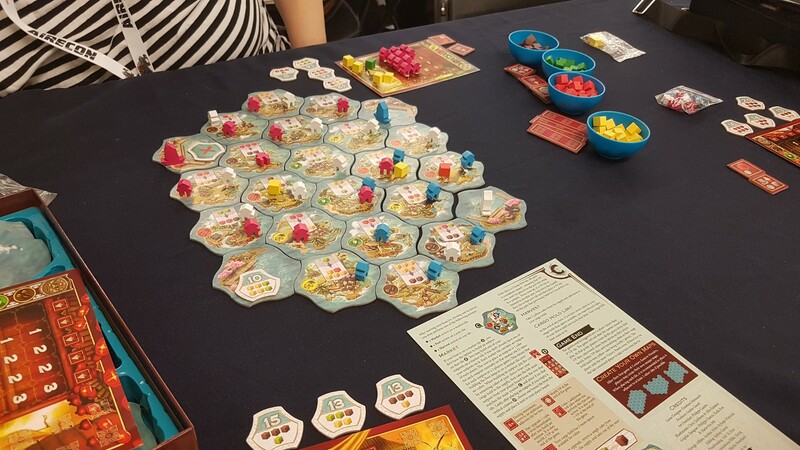 And basically it was the same game as yesterday expect you had to move little boats around on a board to claim locations instead of cards. Then you can perform the cube swapper-a-roo in order to sail to locations and buy points. 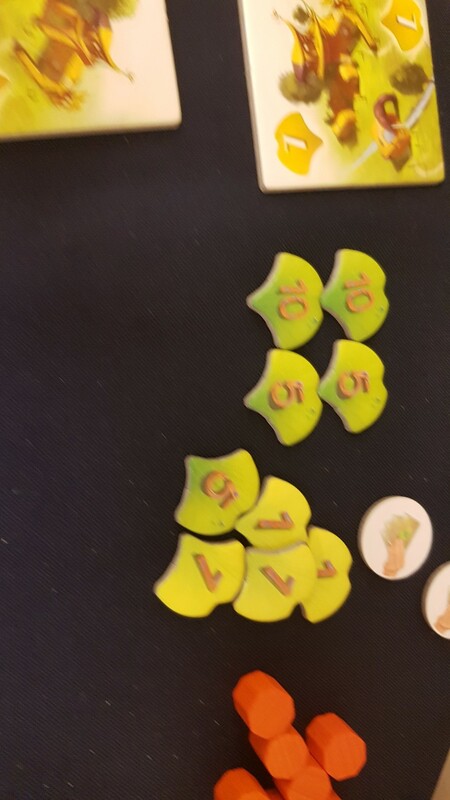 The rules were terrible, using terminology like: in a 2 players game and in either of the other player boards. The translation is poor and it over complicates the convoluted rules. You end up with a pretty board with lots of huts that get in the way of the iconography I'd like to see. 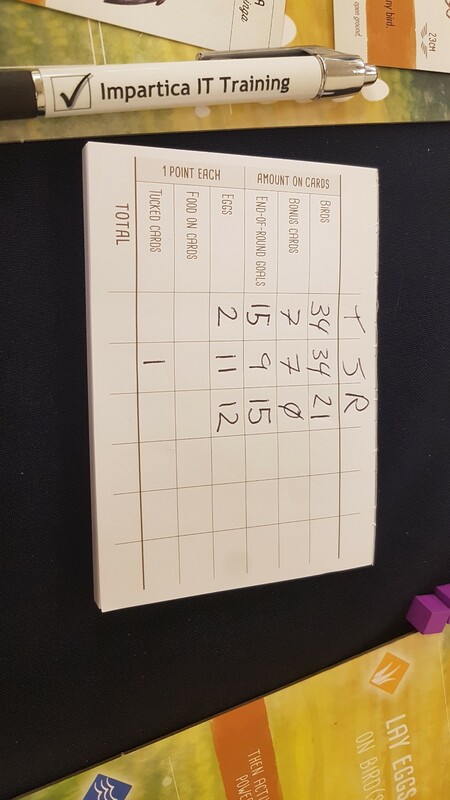 I'm just jealous because I lost badly, well done to MrsDecar though who was able to nip around the board thanks to an upgrade, but Rich the Fish was able to get the 20 point trade thing simply because I dropped the wrong cube. I guess that was kinda fun. 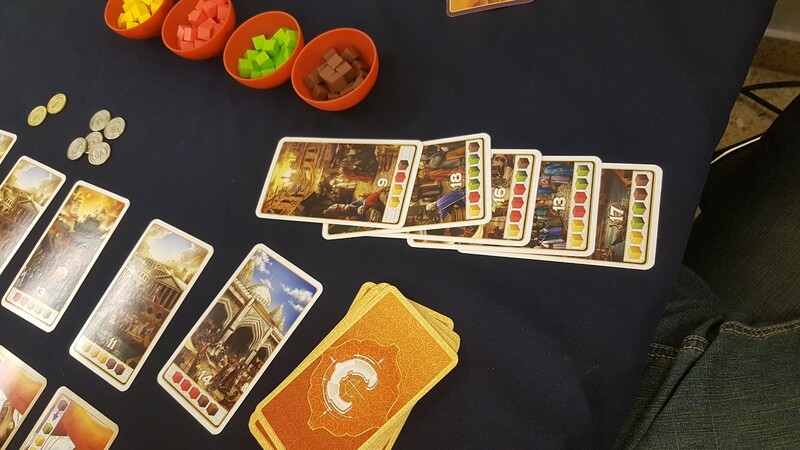 Apparently you can mix your Century Spice games to make Century Curry Road. I presume it must be like a high streets on Friday night, where every shop is a curry or house chinese takeaway. I'll await the 3rd game before working out what the fuss was about. Notice how I rebelled and I didn't neatly stack my little huts on the squares. 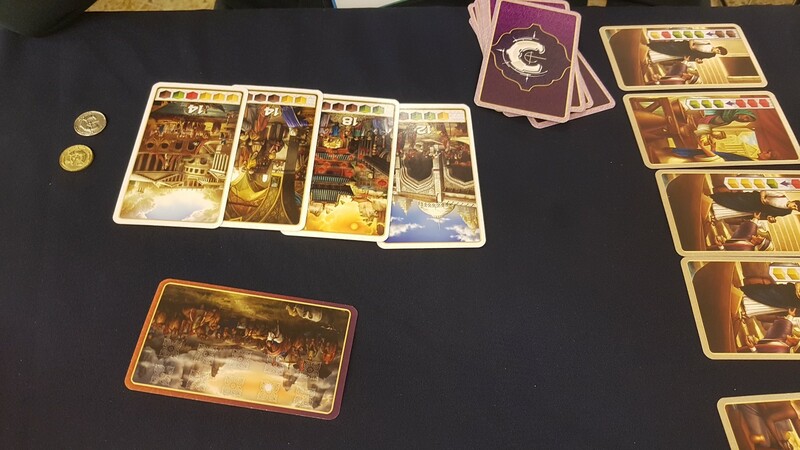 It was all a bit of a silly take-that card game, probably totally unbalanaced, but each of the cards had some funky artwork and they'd written a story for each win condition. The game references a lot of sci-fi tropes. The guys on the booth were super friendly too. After pizza we played a game Rich had brought, called The Game of Trains. Basically you get to swap a card or play a swapped card for it's action. The idea is to quick-sort your trains from descending into ascending order. The rules! Lots of great examples of things not to do: Numbering options, and Noting, things of importance. 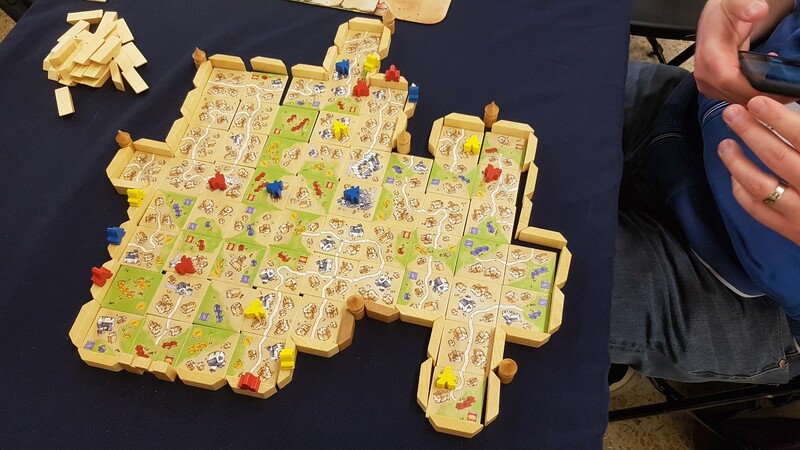 Everyone knows it's mandatory to play Carcassonne at a Carcassonne Meetup, so I chose Carcassonne:The City. A spin off I'd not played before. After I hashed up the rules, we did at least get an impressive City, closed off by the walls, which seemed impossible when the walls began. 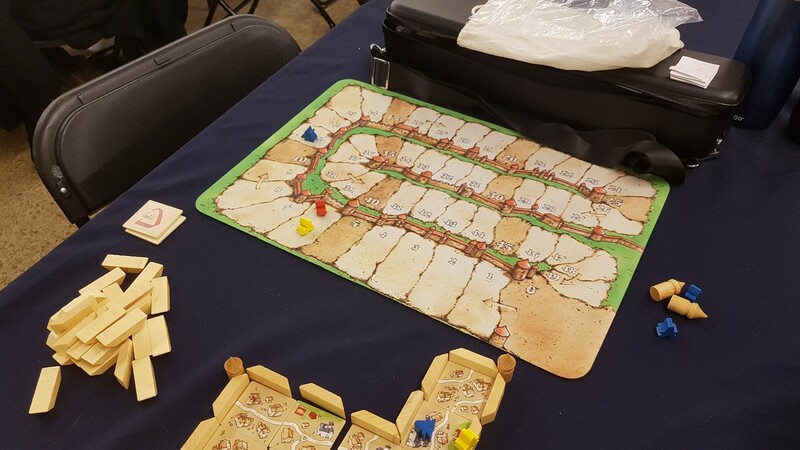 The walls really add something to Carcassonne, but it does introduce a lot more analysis paralysis, and it prevents the pre-drawing of tiles too because you may have to stop to put down castle walls. 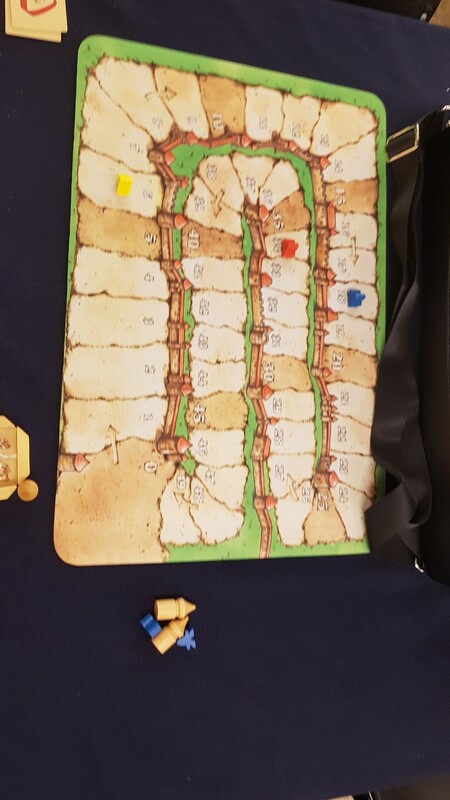 In our game it seemed all the blue buildings were smashed together, so there were one or two stripes of 10+ points and then lots of small 6-8 points, that hardly compared. Rich the Fish and I needed to wander around a bit, unlike the two guys sat next to us playing Keyforge for 8 hours without moving! 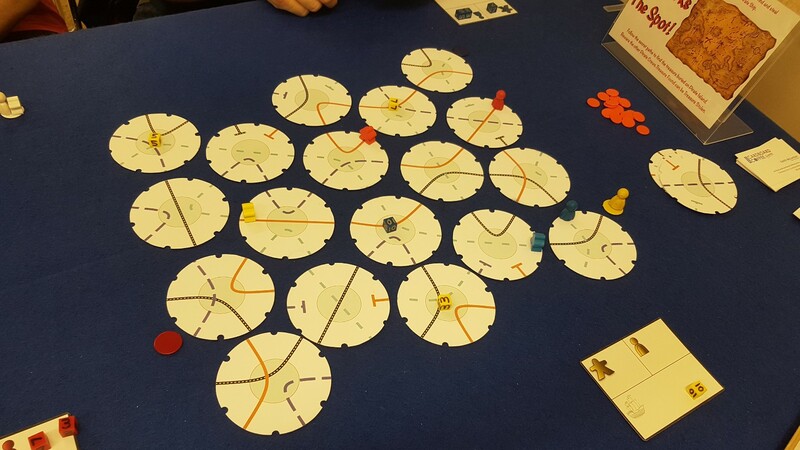 I realize now, there was a line of prototypes being played, that I would have liked to try. I got a quick explanation of 1066: Tears to Many Mothers, which is a asymmetric, card/battle-line game set at Hastings. It's got lots of characters the designer dug out of various historical canons, but I didn't really get any feeling for how the game worked. Considering it wasn't very busy, I didn't think it was necessary to rush. It looks like a very good 1-player or 2-player game, but I knew we'd never get it played in the Decar house-hold. But looks like the sort of thing that can fill a lunch break. I noticed they were using one of those £200 gaming tables, and I couldn't really play down into the table space very well. 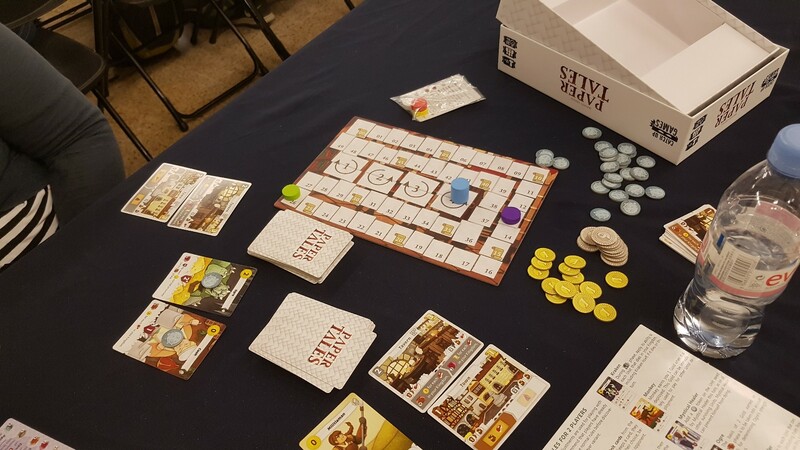 I did get to try a prototype, of a game called: Arrrr! You all know I like pirates, so what could be better than wondering about with two pirates picking up treasure and taking it back to your boat. (Mental Note, adding rum and bacon into the mix would be one way). It was like a mix of the children's classic: Downfall and Tsuro, but this a bit of future planning with turn sequences at least. The day was drawing to a close, but we managed to play a quick game of Dominion. Another great classic. Rich The Fish managed to trounce Mrs Decar and I with 6 province cards. 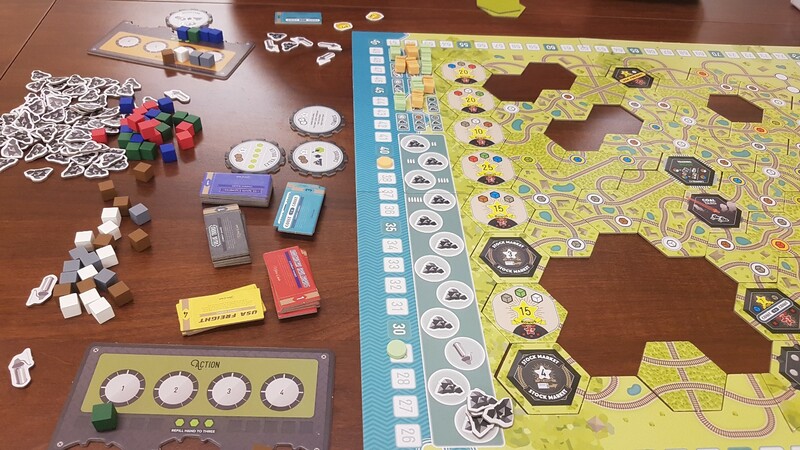 I think this might be the first time I played it 3-players too. I like not having too much down time. A great choice of cards Rich! We lost, but it felt like we could improve, I think Mrs Decar will enjoy this one. Shortly, after I was looking at the games library, when Rich said he'd been invited to play Root as the 4th player. 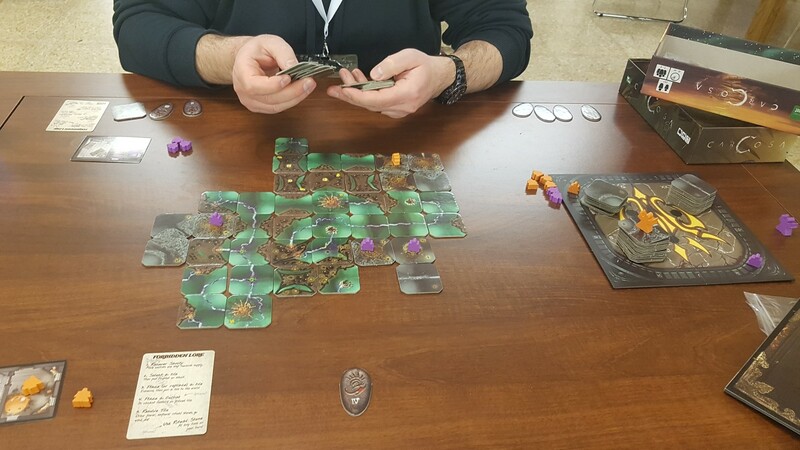 I brought Root with us, but given the amount of nonsense we'd had not being prepared to play games, I thought it was too good an opportunity to let him turn it down. Mrs Decar and I played Paper Tales. 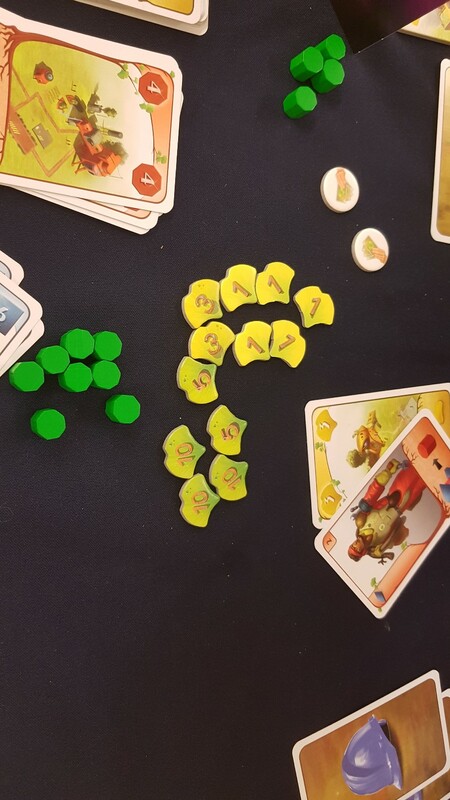 I wanted to try this at Essen, but I couldn't find it anywhere. 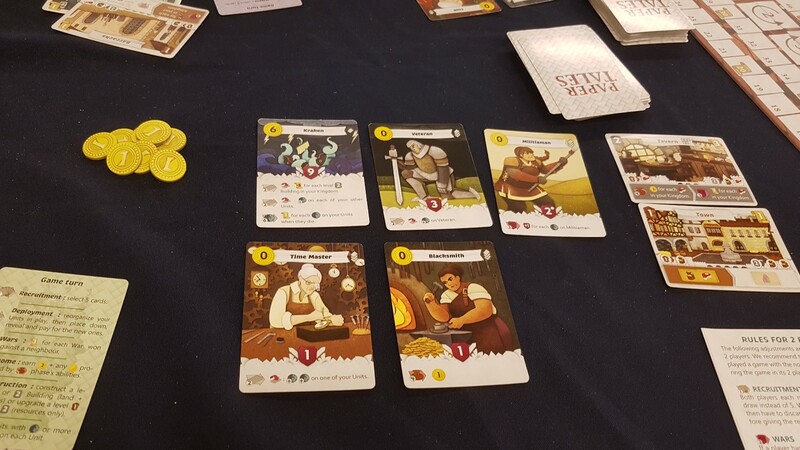 Paper Tales is a card drafting, combo generating game. Your cards are given age points at the end of a round, if they don't get them sooner. At the end of the next turn aged cards are removed. So nothing remains for long. The rules. The rules were awesome. I read out each section, and we played the game only referring to the card cheat sheet once. After all the messing about we had with rules, this game's rulebook was a breath of fresh air. The game's iconography is nice and clear too. Actions happen is certain phases of the game, they're all clearly marked. In terms of the mechanics though it seemed very solid, there's an expansion out there, I wonder if that would fix a few things. Although it would mean missing out on the last day of the event, we had already managed to play a fair number of games. Big thanks to Rich the Fish for joining us for the weekend. It wouldn't have been half as good if you'd not been there, so thanks for taking the time to put up with us! It's a long old journey up to Harrogate and the feral children hanging around outside McDonalds leave a lot to be desired. But we had a great time catching up and ticking off a lot of games that we needed to play! Woah, merit for the enormous write-up! Great write up Decar as always (+1 merit). I had a really fab couple of days with you both, thanks very much for letting me join you. Was also pleased to have played quite a few new (to me) games - there's definitely a couple I'm looking to buy! Would happily return again next year 13-15th March 2020 (pencilled in the diary already), but it's worth noting for others, this con is mainly about socialising and playing games rather than buying lots of stuff which was a rather nice change tbh. Can't belive we both carted loads of games there with us, only to play a couple of them - that library, whilst not huge, was really good. 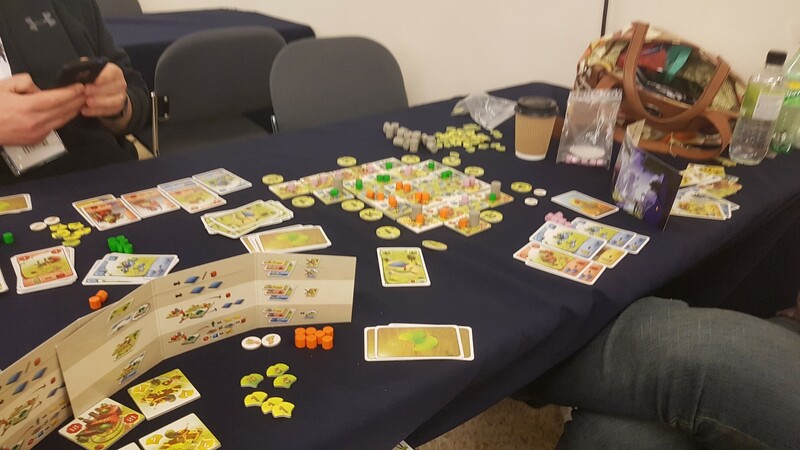 Think I've got board game convention fever as I really missed not playing a game today... can't wait for UKGE in a couple of months. Thanks for the merit jungleboy Nick. It was a shame you couldn't make the event, but I hope you're having fun where ever you are! A couple you're looking to buy Rich? Still a lot cheaper than a table! If we go again I doubt I'll bring quite so many. It's hard to guess how good and busy the library would be. And if a billion people come next year, it will be like the library in the UKGE...empty.